A visitor to Hawaii in the 20th century probably took home photos, lei, a monkeypod bowl carved in the shape of a pineapple and an aloha shirt. These items are faded or long gone, but the memory of a haunting melody played by a group of Island musicians and the incomparable beauty of a hula dancer will be with them forever. Musicians and dancers at hotels, reataurants and clubs make a vast contribution to what tourists think of as Hawaii. 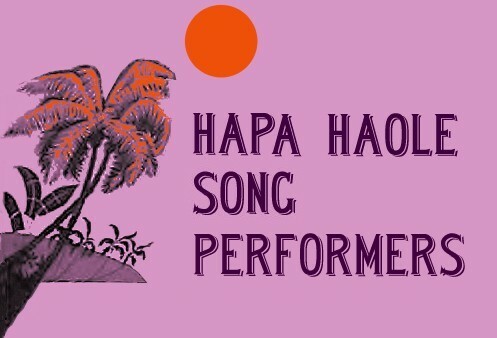 These performers are the most visible representatives of Hawaii to our visitors. Hawaiian musicians and dancers carry our music and culture to all corners of the globe and to people who have never visited the Islands. Hawaiian-themed restaurants and showrooms on the mainland are mostly gone now, but for decades they spread the beauty and aloha of a truly unique culture. The Luau restaurant in Beverly Hills, Trader Vics' restaurants around the world, Don the Beachcomber's, The Islander, The Castaway, Latitude 20, The Seven Seas, the Ambassador Hotel's Coconut Grove, the Mural Room at San Francisco's St. Francis Hotel, , the Tonga Room at the Fairmont, New York's Hotel Lexington's Hawaiian Room--are all mostly memories, and with them the performers who graced these establishments. The major sources of photos and biographical information on these performers are from the 1970s. Corrections, additions and current information is welcomed by the author of this website.